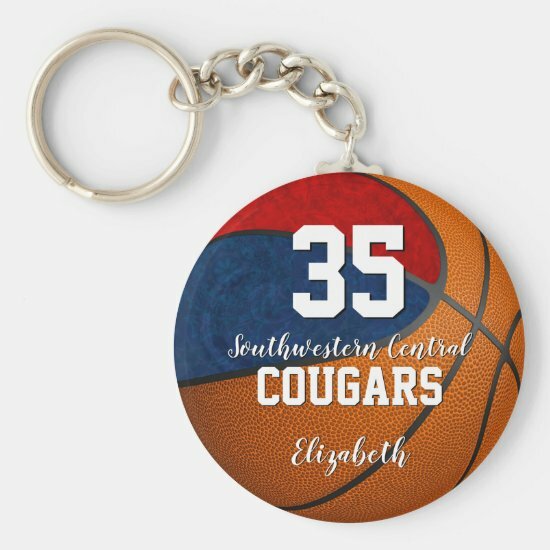 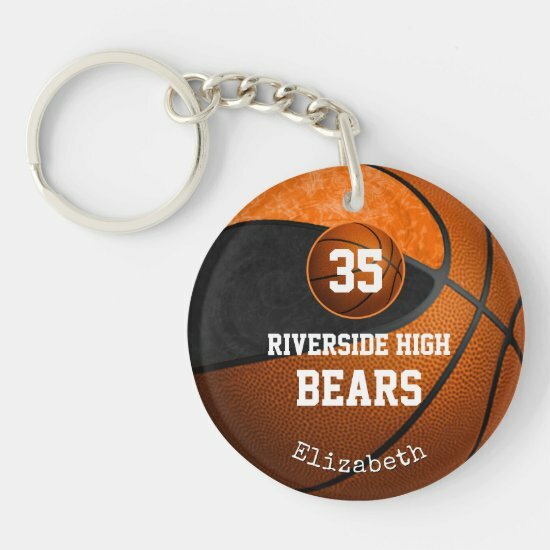 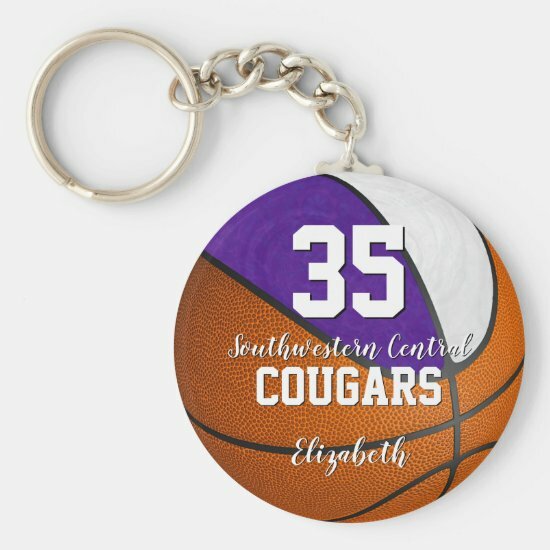 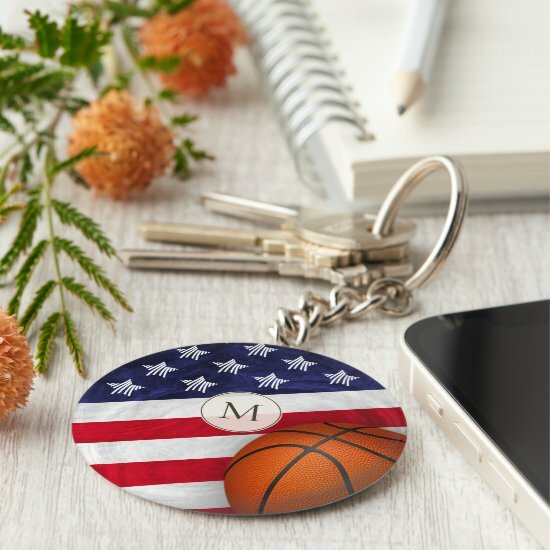 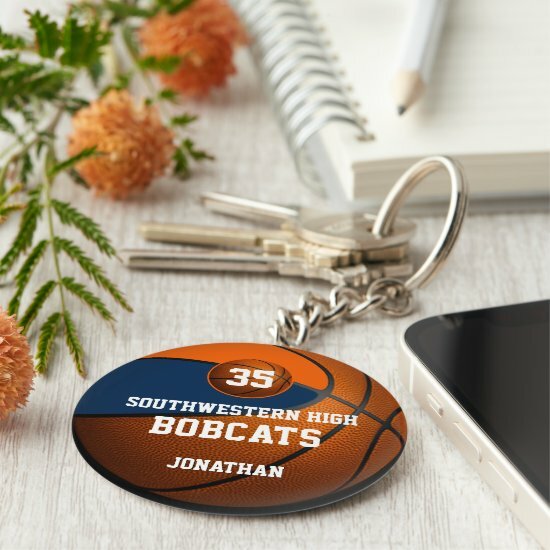 Many school color combinations are available for these personalized basketball keychains for girls and boys with easily customizable player name and jersey number plus school name and mascot name. 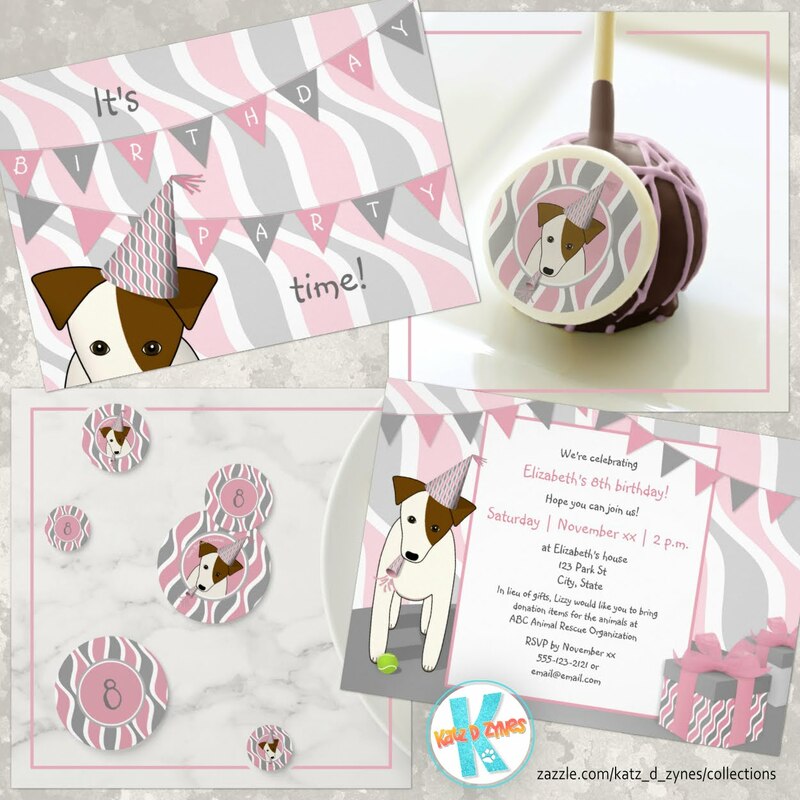 Custom color requests are welcome--please contact me through my Zazzle shop. 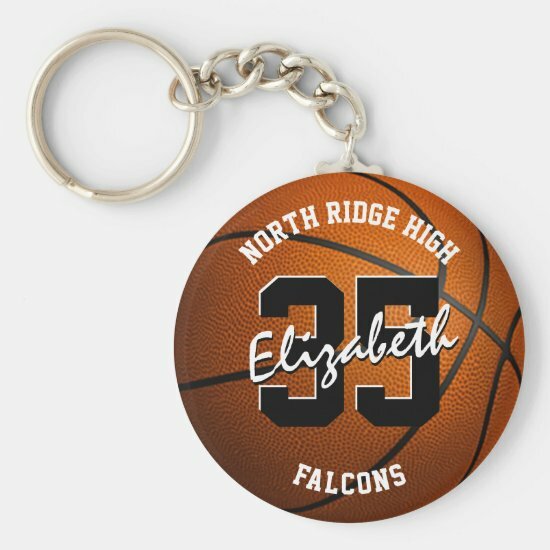 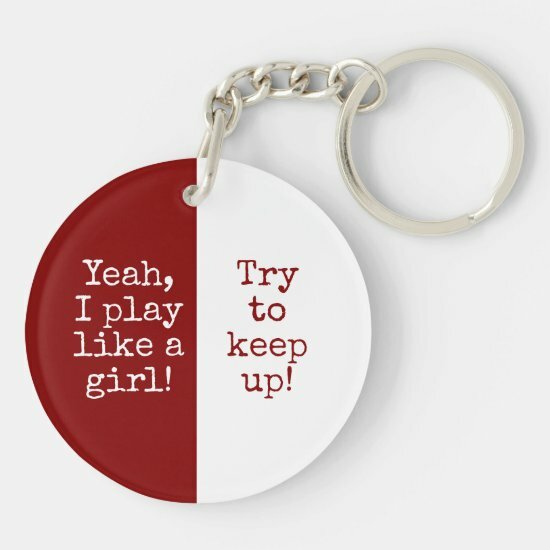 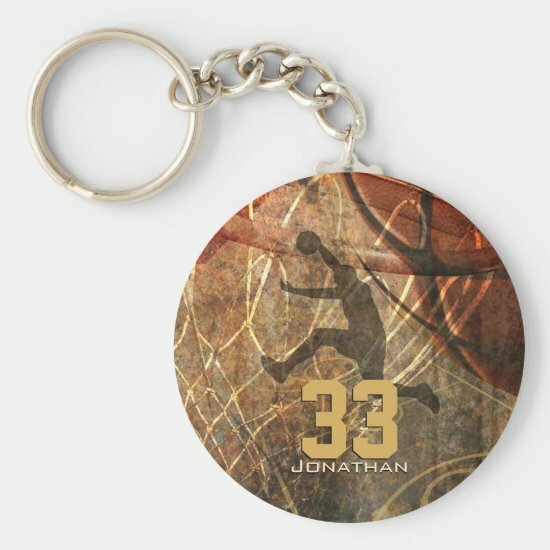 Take advantage of Zazzle's bulk order discount pricing on the Basic Button Keychains for a memorable gift or team spirit builder for each member of the team! 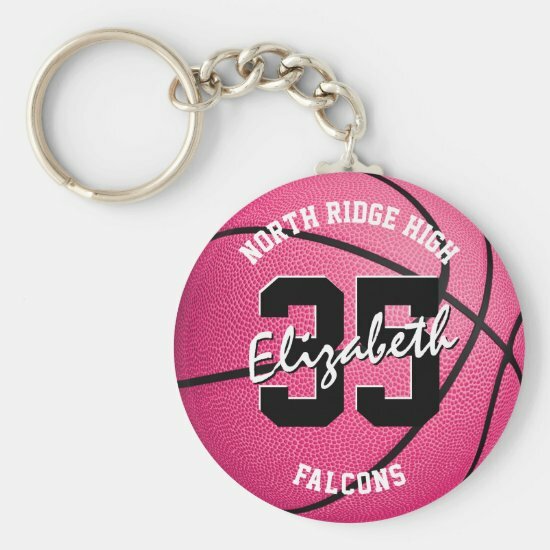 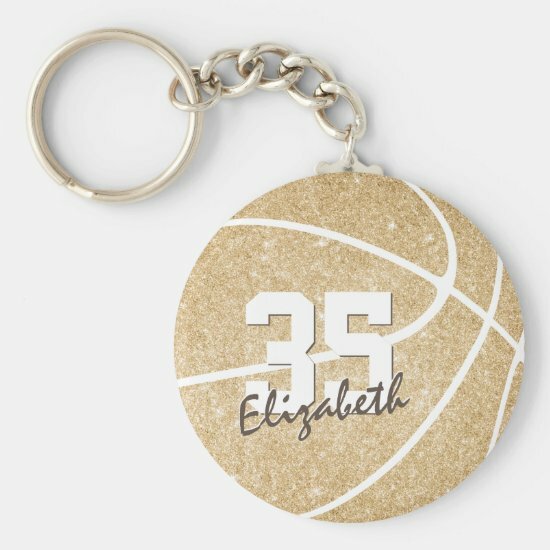 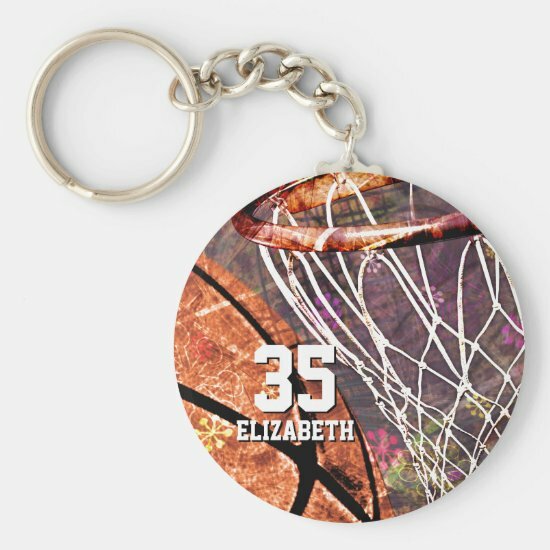 These personalized girls' basketball keychains feature her custom school colors on two panels of a simple basketball graphic - the colored panels are blended with a digitally created texture for an artsy, girly appearance, and her jersey number is situated on a tiny basketball. These boys' basketball keychains feature a simple basketball graphic with custom school colors on two of the basketball's panels--his jersey number is on a small basketball. Coordinating drawstring-style backpacks and Nike® Performance backpacks are also available.